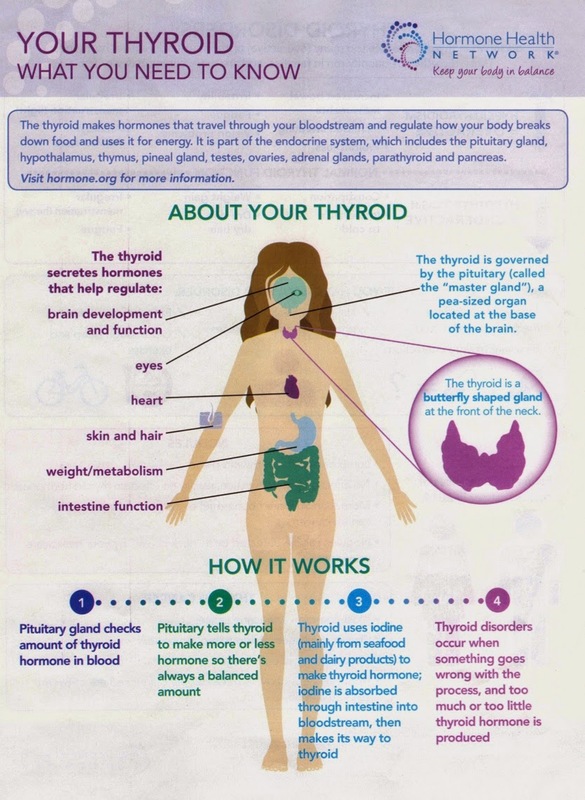 I came across this information sheet about "Your Thyroid," which came from the Hormone Health Network. Although very simplistic, this still makes it clear that the thyroid gland and it's thyroid hormone secretion is very important for overall body function. It also helps clarify the regulatory feedback system between the pituitary gland (secreting TSH) and the thyroid gland (secreting T4 and T3). For more information and fact sheets about specific thyroid diseases, click here. To learn more about other endocrine glands and their diseases, visit the Hormone Health Network website at http://www.hormone.org.